During the conference Skyharbour’s President and CEO, Jordan Trimble, will be part of the “Uranium Investment Panel” on Monday January 21st at 2:20pm in Workshop 4 discussing the uranium market moderated by Michael Alkin, Founder & CIO of Sachem Cove Partners, LLC. 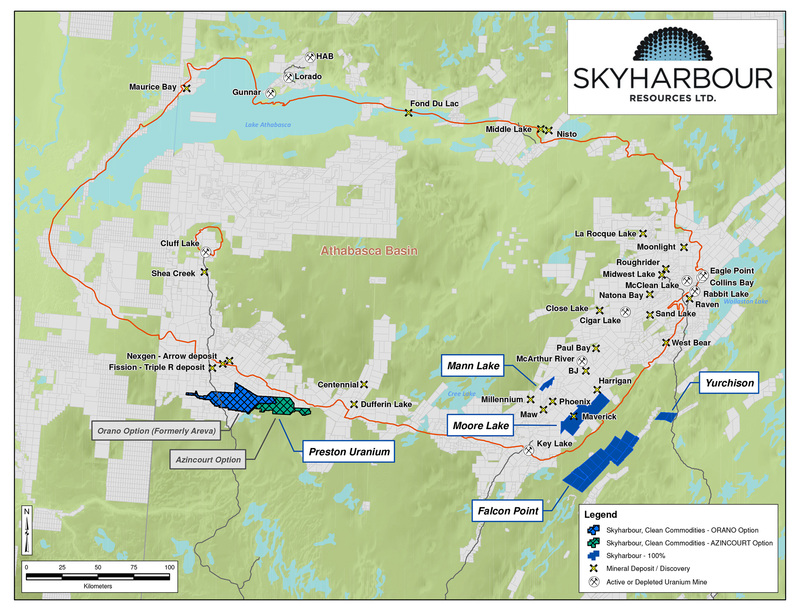 Mr. Trimble will also be giving a Skyharbour corporate presentation on Monday, January 21st at 11:20am in Workshop 6. The Vancouver Resource Investment Conference has been the bellwether of the junior mining market for the last twenty-five years. It is the number one source of information for investment trends and ideas, covering all aspects of the natural resource industry. Each year, the VRIC hosts over 60 keynote speakers, 350 exhibiting companies and 9000 investors.